If I were an artist I would not to give the impression that I would make my music to fit in to any certain category or to make play on any specific radio station. I’d just want to make music and let politics do with it what they wish. Now, I know some people are going to not be so happy about this post, because they think artists could just have different expressions, different version for different reasons. They are allowed to experiment, there are things such as remixes, there’s plenty of reasons for this. I get it. But I also think it’s just pretty silly, and it’s usually dependent on exposure in different markets, and mainly making money. Have you noticed lately how certain songs sound differently on different stations? Or, you find this song on the internet or some TV show and you fall in love with it, then hear it on the radio only to hear some strange beat track behind it? These are only two examples, but I’ve heard it repeatedly by different artists over the last few months. And I think what gets me the most is the fact that wouldn’t Gotye’s song be considered a pop song without the unnecessary background track? Wouldn’t Kelly’s song work just fine on a country station without the strange banjo in the background? Both versions of both songs sound fine, honestly, but it’s the fact that the original versions were released originally. Then these strange edits popped up on stations across the nation… Maybe so they would get more air play in different markets? Probably. But there’s honestly no point. If a listener doesn’t like your original track, but suddenly they do with that strange sounding background noise… You don’t deserve them as a fan. And I’m sure I’m not the only one who changes the station when the altered version comes on, as my ears cringe in disgust. Imagine your life without music. Really, without music. No radio, none of your favorite songs playing at your command, no iPod, no soundtracks to movies or TV shows, no nothing. I’ve participated in music programs for as long as I can remember. In 4th grade I started singing at church and in choir, and as I progressed to high school I went on to participate in Choir, Liturgical Ensemble, Madrigals, Musical Theater and even become Captain and Band President of my high school marching band. Music, very quickly, became not only something that I participated in regularly, but it was defining who I was, who I’ve become, and who I will become. Music programs are being cut from school budgets across the country, leaving children no opportunity to have the experiences like I’ve had, and like I’m sure many of you have had. Budgets are being cut, or completely taken away, leaving children with nothing to hold on to. More importantly, music provides an outlet for children. It allows creativity and ways of thinking that other educational programs do not promote. It provides excitement throughout the long school days, and something to look forward to between all of the structured class time. Not to mention, that time and time again it has been proven that children who participate in music education outshine and better perform on standardized testing than the children who did not have the advantage to. And why I’m sad I didn’t know about it sooner. I have been a music connoisseur and seeker since the days I can remember. I would go out and buy CDs of musicians and bands I had never heard of, or only recognized by word of mouth, just to simply take in all that they were and created. I would scour online for free downloads, music, albums and everything that I could possibly find by any artist I knew (or didn’t know, in some cases) even a little bit about. With the birth of iTunes, I was so happy to have all of my music in one, organized and simple to use space. Especially a space that could house so much music! The one downfall, though, was money. As we all know, it doesn’t grow on trees, and as a student, I definitely don’t have a budget to afford buying music to my heart’s content. This became a problem over the years, even with Pandora and YouTube and other music sites where one can listen, but not keep on a computer. Another thing I was always very interested in was sharing my music with friends, and hearing the music they were interested in. Particularly those friends of mine who liked a wide variety of artists, especially ones that I had not heard of or listened to before. 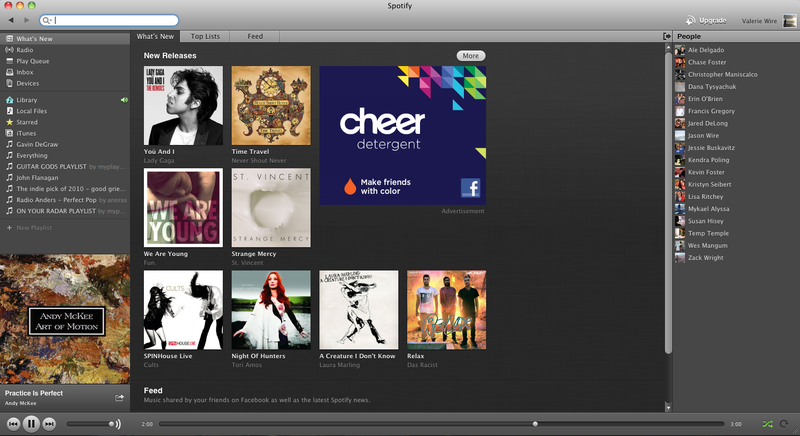 Then, this week, I was introduced to… SPOTIFY. To my dismay, I had not known about this little speck from heaven sooner…. Right after I posted my previous post about the importance of music education and the arts, I went on Facebook and found a lovely article that one of my friends (who is also now an intern at VH1 Save The Music — contact me for more info, if interested in the internship!) posted. Yesterday morning I had the pleasure to attend an event at Norman Binkley Elementary school with VH1 Save The Music Foundation, Energizer and country singer Jimmy Wayne. This event was part of VH1 Save The Music and Energizer’s “Positive Energy” campaign, where the two partnered together to give musical instruments to select schools throughout the nation. 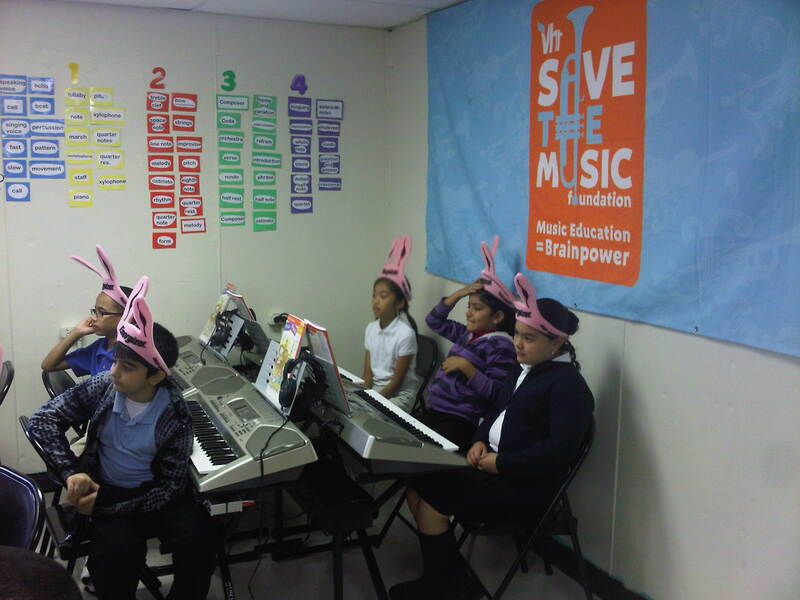 Now, if you know anything about the Save The Music Foundation, then you know that this is their mission and goal, that they are an “organization dedicated to restoring instrumental music education in America’s public schools, and raising awareness about the importance of music as part of each child’s complete education.” (STM.com).